Windows 10 is packed with handy features. Few of them, however, may be considered unnecessary or annoying by some users. For instance, you may want to disable the Quick Access feature in order to give File Explorer a much cleaner look. 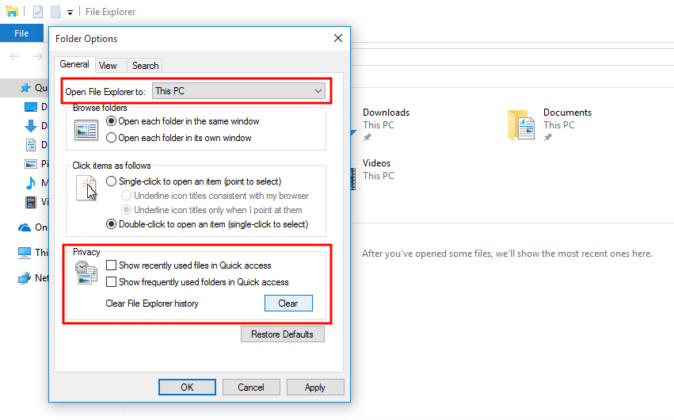 Open File Explorer and go to View tab > Options > Change folder and search options. Choose This PC from the top drop-down menu. Uncheck both boxes under the Privacy section. Did you find this article helpful? Find more Windows tips and tricks on our blog and join us on Facebook, Twitter or LinkedIn to get all the latest news and updates as they happen.